Scholars are sometimes (inappropriately) criticized for being activist at the same time they are scholars. More and more often it is accepted and embraced they not only can we be both but that we should be both: that being passionate about what we write about makes for better scholarship. [Yaba] Blay's work is also an excellent example of how one can be both a scholar and an activists at the same time and be successful at both. Andrew Joseph Pegoda, "(1)ne Drop: Shifting the Lens on Race: A Review and Reflection," Andrew Joseph Pegoda, A.B.D., (November 23, 2013). http://andrewpegoda.com/2013/11/23/1ne-drop-shifting-the-lens-on-race-a-review-and-reflection. Last month, Loving, a biopic about Mildred and Richard Loving—the couple at the center of the Supreme Court’s Loving v. Virginia decision which struck down bans on interracial marriage in 1967—was released nationwide. June 12th, 2017 will be the 50th anniversary of the historic trial. As a way to celebrate the Lovings—and promote the movie—the Loving Twitter account began encouraging people to use the hashtag #ThankYouLovings. The hashtag has been shared across social media, accompanied by photos of interracial couples—everything from candid selfies to intimate wedding photos. In his native Caroline County, Virginia, Mark Loving II’s family name is well known. Beyond generations of rootedness, there is both a plaque at the courthouse and a historical marker about his family history. One reason why Mark came to Eastern Mennonite University: some anonymity in a rural landscape not dissimilar to home. But being one of a crowd is shortly coming to an end for this sophomore kinesiology major who plays basketball and has plans to become a physical therapist. On Friday, Nov. 4, a movie will be released, the title of which is one word: his surname. 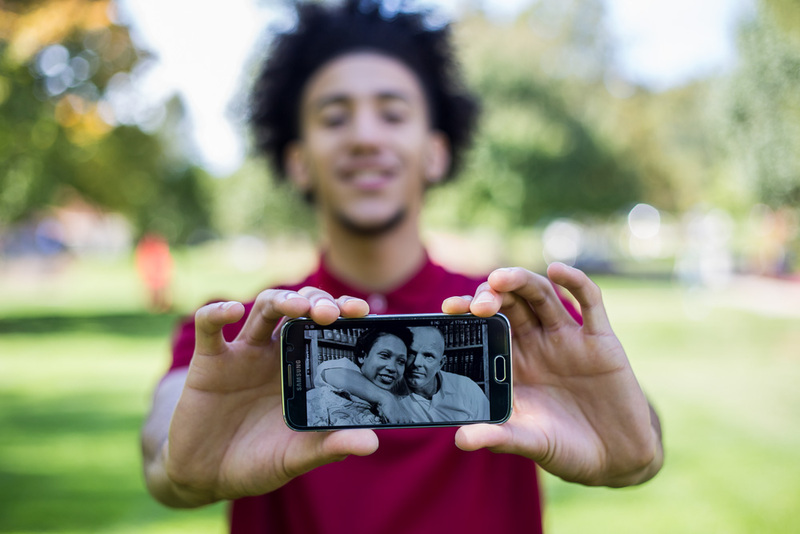 America has come a long way since Mildred and Richard Loving took their case to the U.S. Supreme Court in 1967 to fight and win the right for a black woman to marry a white man. But have we come far enough? Just one month after opening its doors, the National Museum of African American History and Culture is establishing itself as a permanent stop on the Washington social circuit. There have been cocktail parties, galas, private dinners and now one of D.C.’s favorite after-work pastimes — the movie screening. But not just any movie screening. On Monday, the museum hosted a sneak peek of “Loving” in the 350-seat Oprah Winfrey Theater–one of many for the new institution. The choice wasn’t coincidental, said Rhea L. Combs, the museum’s photography and film curator and head of its Earl W. and Amanda Stafford Center for African American Media Arts. “Loving” tells the true story of Mildred and Richard Loving, an interracial couple from Virginia who fought for nearly a decade to have their marriage recognized as legal. Their historic case went all the way to the U.S. Supreme Court, which eventually struck down laws against interracial marriage.